Copyright © XS Infosol Pvt. Ltd. All Rights Reserved. Powered by Blogger. Smart Billing the core module of the BOSS (Business Operation Support System) solutions suite. Smart Guard : The Smartest way to manage the bandwidth. Thanks for calling message is not enough today. We assure your customers we have a process that not let go your customer complaints into black hole. Smart CRM will automatically generates easy follow instructions to submit complaints and a way to monitor and follow up the same. Smart OMS is an electronic system developed to execute securities orders in an efficient and cost-effective manner. Many companies use OMS for tracking the progress of each order throughout the system. Whether you are running manufacturing centers, distribution centers, service depots, spare parts warehouses or other types of parts storage facilities, Inventory Management provides the multi-mode inventory capability that helps you control all your inventory operations. Promoting your website or your blog through media platforms is the best way to garner maximum amount of publicity. Today, sites like Facebook, Twitter, LinkedIn, YouTube and several other social media portals are the best way to endorse your business, product, service, and blog or company website. If your website gets shared on one of these media outlets be assured that whatever your website it will become an instant success. In the wake of a media revolution where social networking sites have become a primary source for promotion there is a growing need for the use social media marketing for your website. If your website has been made keeping in mind a certain target audience, the use of these social media marketing sites are the best way to promote it. The use of the social media today is a compulsion if you are looking for a 360 degree promotion technique with regards to the internet. This also ensures that your website will get an all round perspective from a variety of viewers. The development of technology has only been a boon as far as gaining popularity and publicity is concerned. When you contact an SEO specialist to help with social media marketing, they will be responsible for generating content that will go up on sites like Facebook and Twitter. This content, once published, will help bring in more visitors to your website. 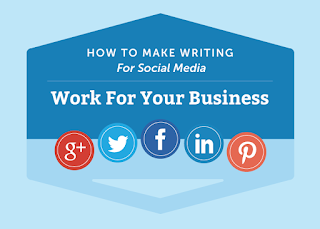 The specialists will also formulate content for blog posts that will go on to the blog of your website. The writers who are responsible for matter that will get published online are key players in your campaign, and responsible for the marketing of your product, website, product or service. Successful marketing will lead to an increase in the profits that you will make. The SEO specialist will play in the entire process of providing social media marketing service is one that is of prime importance; therefore it is necessary to choose a good SEO professional to help you take your brand to the next level. Once you have chosen the right professional, you will be asked to choose the platforms through which you would want them to promote your business. After that, the whole responsibility of social media marketing will be in his hands. They will keep you informed about what progress your website is making and will also take into consideration the changes that have to be made if you think it is necessary. With social media marketing, you will notice a visible change in your business. It is t essential to build on your online presence and promote your site on all media platforms on the internet. It will also help with regards to reputation management and facilitating a two-way communication between you and your clients, this is one of the most important tools as far as optimization of your business is considered. 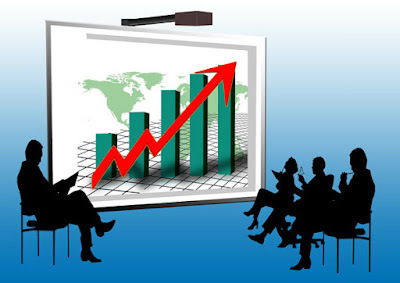 So hire a good SEO company whose main aim will be only to increase the profits of your business. Fortunately, you may be running a fostering company with many employees with different designations. Generally, they are hired for the specific purpose required by the company, although the chances are they may know skills beyond their current functions. There is also a possibility of boredom of employees because of performing same tedious tasks every day on their own. Overall, the sluggish activities, lack of interaction, collaboration, and sharing of ideas with colleagues might be toppling down the company's revenue. So, how could you figure out the alternative for this? The answer is Social networking software that allows maximum sharing of data and ideas securely with a friendly collaborative-environment. Now, you are interested in how it could completely change the way working of the organization. The secret is hidden inside the features of online social networking software. The illustrated functions and benefits will definitely compel you to make this an important in-house asset for better exposure of hidden talent and fostering engagement. The staffs involved in their work may know more than they are utilizing daily. So, it is the time to bring it out on the table without reluctance for transcending it. You never know what your juniors are capable of until you give them an opportunity to showcase and explore their talent. This will help the organization in leveraging everyone's' potential exponentially and thereby developing an army of unbeatable. It is often said an engaged person is more prolific, that is true in the case of employees also. The advanced social networking features allow the interaction on common objectives, interests, pursuing along with business purpose also. This is very helpful in acquiring important information or getting right answers from colleague instantly, and be engaged in the work most of the time. The above heading elucidates that sharing of necessary information securely in a company can take the existing skills to a new height. You can share content feeds, social feeds according to the area of interests so to make a knowledge-empowering environment. Alongside, this is also good for sharing essential files safely, and away from the attention of prying eyes. These days, many employees work in a company at different geographical locations, and the only way to bring them together is via this software. It generally means that group can collaborate on a project through group chat, sharing files, and assisting each other with their potential for attaining the utmost result. Sometimes, alterations ensue at any platform, so it is better to have some ways in advance to combat it professionally. Listening to feedback, allowing everyone to have their voice, and sharing business compulsions can help in troubleshooting at earliest. Therefore, it is very important to maintain friendliness within the organization in order to increase the productivity. 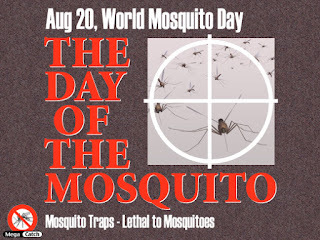 World Mosquito Day was first established in 1897, when the link between mosquitos and malaria transmission was discovered by Sir Ronald Ross. It aims to raise awareness about the causes of malaria and how it can be prevented, as well as fundraising for research into the cure of malaria. It is also a salute to the groundbreaking work of Sir Ross and scientists who have followed him. The London School of Hygiene and Tropical Medicine celebrates World Mosquito Day with exhibitions and parties designed both to entertain and to inform, while other celebrations include Malaria No More’s ‘Mozzy Air’ campaign, encouraging people to take anti-malarial when flying to malaria zones, and Nothing But Nets’ twitter campaigns to provide mosquito nets for poor communities. Get involved by holding a fundraiser to provide nets or quinine, distributing information about the precautions people should take when travelling to danger spots, or celebrating the achievements of research into mosquitoes and how to prevent the diseases they carry. Gone are the days when social media was just considered as a “good thing to have” for your business. It has now become a necessity. At Xsinfosol, we understand that the “social” part is important for your business. We have a huge team of skilled and experienced social media marketing managers who knows how to harness the power of the different social media platforms. Our social media experts always make use of the latest social media tools to reach your target audience. With so many people interacting with their pals everyday on social media, social media marketing is one of the best ways to let people know about your business. Here at Xsinfosol, we will create a strong social media profile so that your customers get a better feel about your business. Moreover, it will also help them to know what other customers are saying about you. Your business cannot simply stay away from the social space. Isn’t it? If you fail to target your existing and current customers, your competitors will. Therefore, our social media experts help to build a fan base for your business. It not only helps to get business from your old and existing customers, but also let you clear the doubts of your customers. Xsinfosol is a reputed and established social media agency, based in India, offering you with the best smo services India to generate business. As a leading social media agency, we can also help you get facebook ads for your business. Let us help you drive new customers for your business. What Are The Real Advantages Of Inventory Management Software? Join Software Development Company in Noida for Innovative Solutions. Do You Think XSINFOSOL.INC is a good Software Company ?